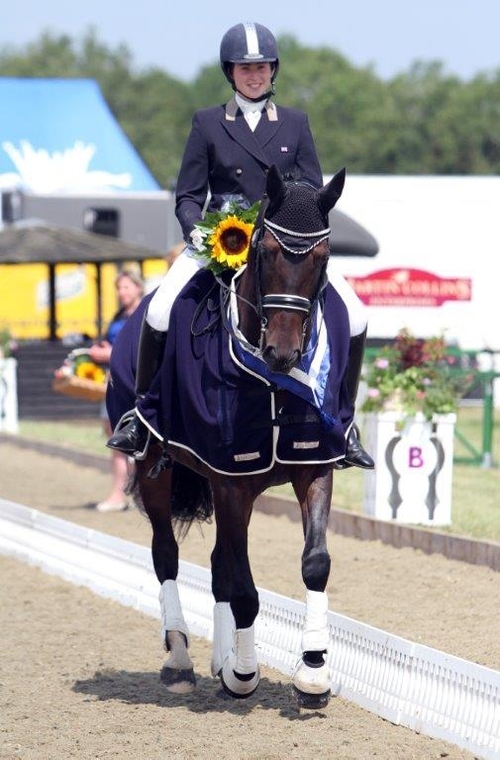 17-year-old Lucy Pincus came top of the youngsters, taking the title in the junior team test with her score of 68.42%. Riding her father's (David Pincus) eight year old Don Schufro gelding, Sheepcote Don Calisto (Donny). The pair have experienced a great run of form this year with a Charles Owen Advanced Medium Winter Championship title included in their 2014 accolades.